Just like choosing a name for your company, much thought should be considered when choosing that perfect domain name for your website. Your domain name establishes your identity or brand online. It should be easy to find, memorable and helps you to promote your business brand. If you’re still in the early stages of choosing a domain name, we’ll help make it easier for you with these helpful tips. In today’s post, you will understand why domain names are important and tools to get your preferred domain name. As soon as you set up your company website, your web developer will likely ask you to purchase a domain name. So what exactly is a domain name? A domain name is a human-readable address on the Internet where people can locate you online. As an example, if you have Block 42 817 Mango Street as your office street address, you have something like www.mywebsite.com as an online address to make your website available to your visitors worldwide. As most people are now online to shop, research and compare products or services, it’s a must to have a domain name that promotes your overall brand and one that builds search engine traffic for your website. It’s quite common for people to confuse one from another so we’re going to explain the differences between the two before you even start a website. In a nutshell, a domain name is similar to a ‘home address’ on the Internet while web hosting is your ‘room or space inside your house’ to store and process all your website files like text, images, videos, music, settings, etc. If you’re planning to create a website and you don’t know where to begin, we recommend that you purchase them together from the same provider before you start tinkering with your site’s design, SEO and content. Purchasing a domain name and web hosting plan from the same provider is not a crucial step, but it will be easier for you when handling administrative or billing matters for the services. With millions of domain names registered every day, new domain owners need to be more creative in thinking of a domain name that is not already taken or one that will make stand out in search engines. 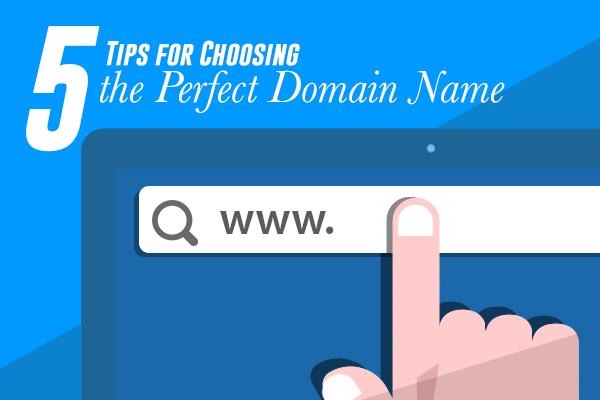 Try to follow these tips when choosing your domain name. As much as possible, keep it short and memorable. Based on a study done by Gaebler, the Top 50 Popular Websites have an average of six characters in their domain names. Make sure that it is also easy to type and pronounce so visitors can remember them easily. Avoid using slangs like ‘8’ instead of ‘eight’ or ‘u’ instead of ‘you’. You can try asking a few people to write down and pronounce your domain name and if they find it difficult to do so, then you might want to rethink your choice of domain. You don’t want to run into trouble with the law just because your domain name was confused with another popular website. Don’t bother using misspelled, plural or hyphenated versions of an established website. Think of how disastrous it can be if a popular website sues you after finding out that most of their website traffic were sent to your website instead of theirs. 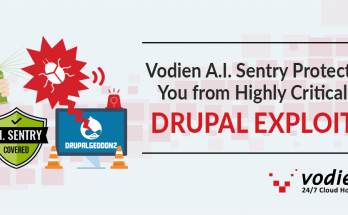 Search your domain name with Vodien’s domain search tool to verify if your domain name is available. If you want to boost traffic and branding for your site for the long-term, we suggest you use .com as this is still the most popular domain extension. More people will find yoga.com more memorable and visitable than yoga.guru. Although you would have to be very creative in using .com extension. Why? Because it has been in the domain market for so long, it can be a little tough to think of a short and memorable name with that extension. On the other hand, if you want to rank higher in specific countries or group, that’s when a country or group-specific domain will make sense such .sg (Singapore) or .uk (United Kingdom) or .pasta (for gift companies). Use keywords that best describe your domain name. For example, if your niche is advertising, you can add them together with a prefix or suffix to create a great domain idea (e.g. Adage.com). This can help rank your site better on search engines and are more likely to be discovered and visited by prospective customers who are looking for your type of business. If your preferred domain name is taken up, you can try getting domain name ideas from your target keywords. Try searching for the top five keywords you want to be ranked for, and see the results that appear. You can add on prefixes and suffixes to create suitable domains for your business. See what are the popular domain names, and you may get an idea of a cool yet brandable domain name for your business. 5. Act fast and purchase your domain name with your domain registrar. Remember, some domain names may get taken up really fast so you don’t want to risk losing that domain name that you like. Domain names are affordable so it’s best to have them registered as soon as possible. Try out our domain name availability checker if you are ready to purchase a domain for your business. First impressions start with how you brand your business. What a better way to brand it through a well-chosen domain name. Having a good domain name is your first step to creating a long-term successful online business. Choosing a domain name that is not ‘user-friendly’ is not only permanent but can be costly as well. Try to follow the tips we’ve mentioned in this blog post before registering a domain name. 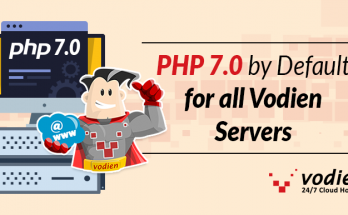 Once you’re ready, feel free to contact Vodien’s 24/7 Customer Service representative so we can assist with your domain registration. We offer most types of domain extensions that will suit your business. You have the option purchase your domain name, even without a web hosting plan. Click the following link to contact us if you need more information!. 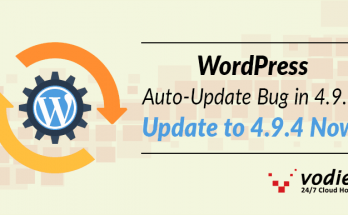 Previous Article What are Add-on, Parked and Sub Domains?